Russian space officials ordered a replacement of upper stage engines on Soyuz rockets for two upcoming cargo and crew missions to the International Space Station. 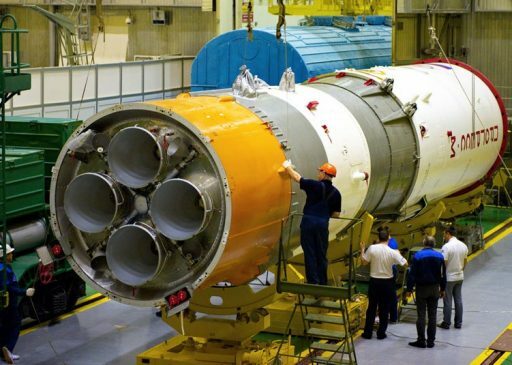 The decision was made in the wake of the still-mysterious failure of a Soyuz rocket in December and is classed as a precautionary measure to fit the rocket stages with engines of a different lot than the accident vehicle. The upper stage failure on the December 1 mission claimed the loss of the Progress MS-04 cargo spacecraft headed to the International Space Station with over 2,400 Kilograms of cargo for the six-person crew aboard the orbiting laboratory, including a next-generation Orlan spacesuit that was to debut on a Russian spacewalk this summer. Due to the loss of the spacesuit, the planned EVA is likely to be deferred to late 2017 when a replacement for the suit can be sent to ISS. Although a detailed investigation into the failure was conducted by Russian specialists, a definitive cause of the mishap could not be identified. The ascending Soyuz rocket had performed nominally until 382 seconds into the flight when all signals from the Block I third stage suddenly vanished. This lack of telemetry data made pin-pointing the cause of the failure a difficult case to solve. The Russian State Commission presented its findings last week, constraining the cause of the failure to the destruction of the rocket stage’s Liquid Oxygen tank which was the result of the destruction of the RD-0110 engine either through ingestion of foreign particles or a defect introduced when the high-pressure oxidizer turbopump was manufactured. Whatever transpired aboard the Soyuz took out the third stage almost in its entirety in a fraction of a second, given the sudden loss of all telemetry data which is sent from a compartment between the fuel and oxidizer tanks of the stage. 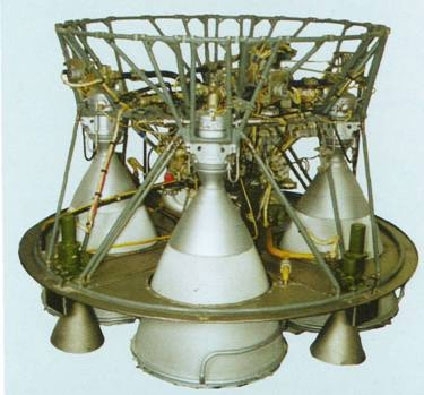 The Progress craft separated from the third stage, either as a result of the rocket’s explosion or after an emergency command was sent, and signals from the spacecraft were received for up to four minutes before it met its fiery end when re-entering the atmosphere over southern Siberia. 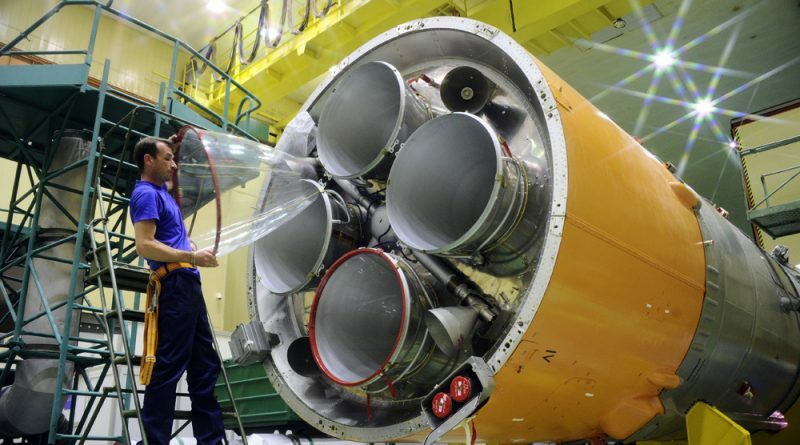 Russia’s Tass news agency reported this week that the RD-0110 engines of the next two Soyuz U/FG launchers will be replaced with units from a different manufacturing series. The Block I upper stage of the final Soyuz U was sent back to its manufacturer TsSKB Progress as part of the failure investigation for detailed inspections and will undergo the engine replacement before being shipped back to Baikonur for what is now expected to be a February 21st launch of the Progress MS-05 cargo mission. The other Block I stage is intended for the Soyuz MS-04 mission that will ferry Fyodor Yurchikhin and Jack Fischer to the Space Station for Expedition 51/52. 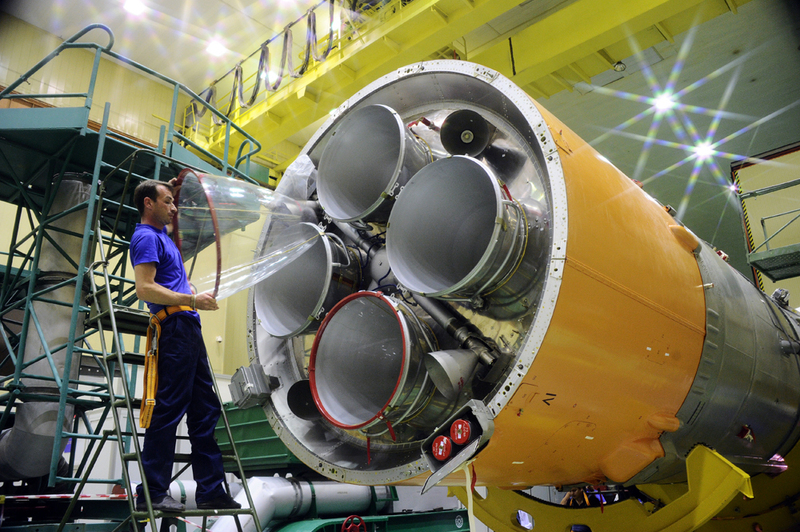 RD-0110 is a common element of the Soyuz-U, FG and 2-1A rockets, powering the different versions of the Block I upper stages, typically responsible for boosting payloads into orbit. Designed by KBKhA in the early 1960s and manufactured by the Voronezh Mechanical Plant, RD-0110 has been a workhorse on different R7-based launch vehicles. Over 1,500 units of the engine have been built, according to its designer. The most recent failure of the four-chamber engine occurred in August 2011 on the Progress M-12M mission. On that flight, Block I was shut down 325 seconds into the mission due to an emergency thrust termination command caused by a blocked fuel duct. The loss of Progress M-27M in April 2015 was caused by unforeseen structural dynamics introduced into the modified Block I – Progress stack at the moment of RD-0110 shutdown, not as the result of an engine failure itself. In a separate issue, all planned ISS crew launch and landing activities have been placed under review to deal with a late switch of Soyuz spacecraft that was announced by Roscosmos late last week. 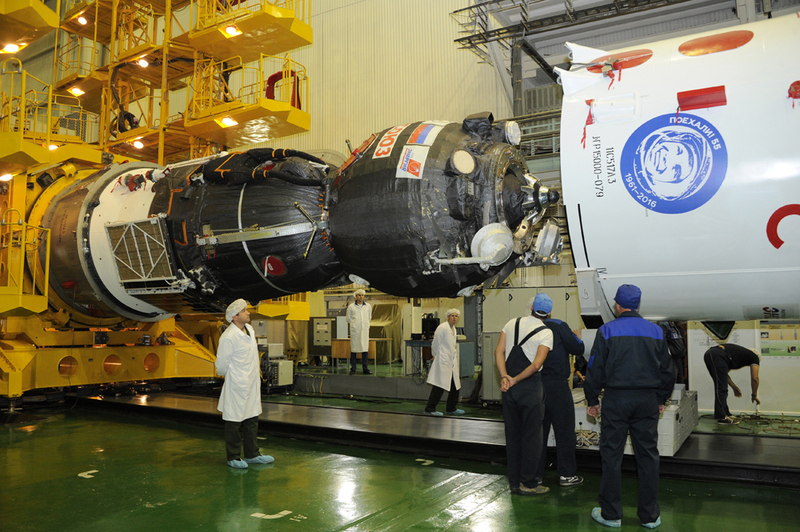 This week, Roscosmos confirmed earlier press reports that the Soyuz MS-04 mission would be flown by the Soyuz spacecraft with serial number 735 instead of 734 that would have been next in line. While Roscosmos insisted that technical problems were not the reason for the delay, it has become known that technical trouble is indeed the cause of the delay. Soyuz MS-04 was aiming for liftoff on March 27, however, according to a reliable source at the Novosti-Kosmonavtiki Forum, the mission is likely to slip to April 20 at the earliest. Repairs on Soyuz No. 734 are likely to take several months, requiring Soyuz No. 736 to be accelerated to be available for the Soyuz MS-05 mission which has to be delayed from May 29 to July 28, 2017. Soyuz No. 734 is currently planned to be used for the MS-06 mission sticking to its original mid-September launch target. As a result of the Soyuz MS-04 launch delay, the landing of Soyuz MS-02 with Sergei Ryzhikov, Andrei Borisenko and Shane Kimbrough could be pushed from February 25 to April 10 to keep the Space Station at a staff of six for as long as possible. Soyuz MS-02 would reach its maximum on-orbit lifetime in mid-May. With Soyuz MS-05 expected to encounter an even longer slip to late July, the stay of the MS-03 crew of Oleg Novitskiy, Thomas Pesquet and Peggy Whitson could be extended to mid-to-late June without violating the expiration of the Soyuz MS vehicle, though the current planning date for the landing appears to he June 2.